Packaging: 16 capsules per carton, 4 cartons per case. 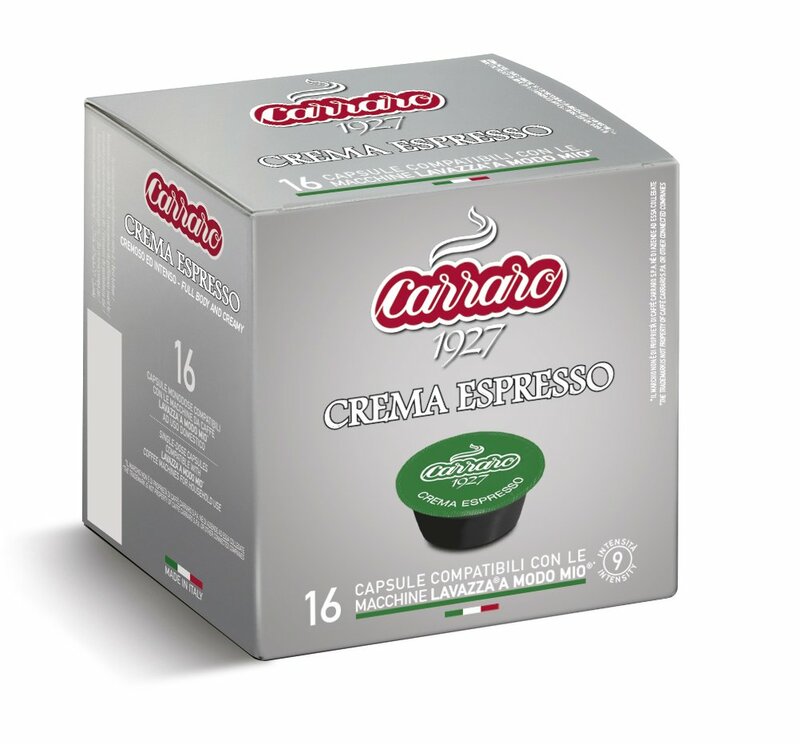 Crema Espresso capsules contains a blend which has been specially created to intensify the classic taste of coffee with the greater body and creaminess for which Italian espresso is renowned. Its distinctive selection is based on a combination of the great, sweet Central American Arabica beans with the best Brazilian Santos varieties. Extra body is given to the blend by the addition of fine Indian and Indonesian Robusta beans. 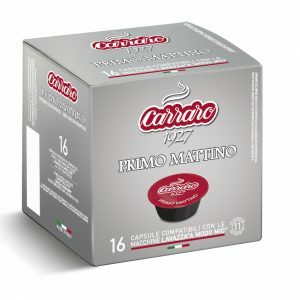 ®The trademark is not property of The Coffee Pod Company. or its connected companies. 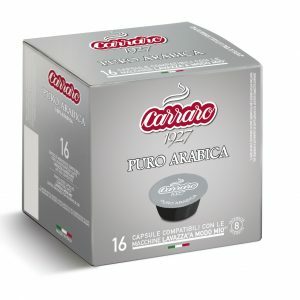 Carraro A Modo Mio Lavazza® Compatible Coffee Capsules, Primo Mattino Blend. 4 x 16 per case. 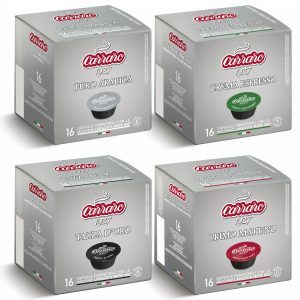 Carraro A Modo Mio Lavazza® Compatible Coffee Capsules, Starter Pack. 4 x 16 per case.